LIVE from Las Vegas, Nevada it's Saaaaaturd... no wait. 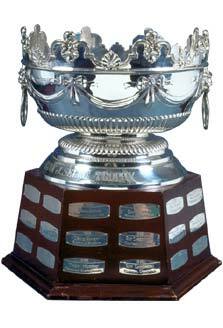 Ok, it is NHL Awards time again. Jay Mohr returns to host at the Palms Casino. Mohr will doubtlessly remark on his lack of hockey knowledge, throw out a few quick one liners on Luongo's hair, etc... and intro a few puzzling music selections, in between the cavalcade of every celebrity that claims a connection to the game of hockey. So let's get right in to the bad jokes: Our picks and predictions. Given to the player judged to be the most valuable to his team. The winner is selected in a poll of the Professional Hockey Writers' Association in all NHL cities at the end of the regular season. Past Winners. If we had a vote: Crosby... but he's not a finalist. OK, Perry. Without Perry absolutely lighting it up down the stretch, the Ducks would not even had a sniff of the post season. The Ducks have their fair share of talented scorers, but Perry put the team on his back in crunch time. Prediction: Daniel Sedin. The Writers love the Sedins for some reason, and he had the highest point total. Leading scorer usually equals receiving the award. 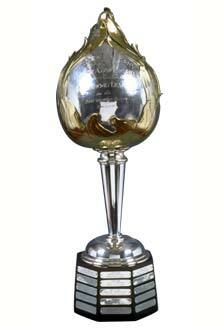 Given to the goalkeeper adjudged to be the best at this position as voted by the general managers of all NHL clubs. Past Winners. If we had a vote: Thomas. His season was just off the charts. It's a regular season award, but really all he did was carry his regular season into the playoffs and was equally impressive and deserving of the Playoff MVP. Prediction: Tim Thomas. Should be a slam dunk. 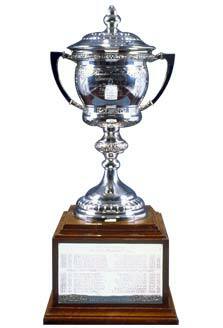 Given to the player selected as the most proficient in his first year of competition in the National Hockey League. 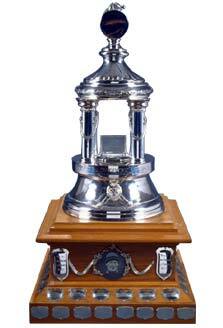 The winner is selected in a poll of the Professional Hockey Writers' Association at the end of the regular season. Past Winners. If we had a vote: Grabner. It's a close race. All are deserving. We just believe that Grabner accomplished what he did with the least amount of help. Prediction: Jeff Skinner. He received the most buzz all season. With Couture playing on the west coast, and Grabner, well, on the Islanders, Skinner gets the default hype vote. Given to the defense player who demonstrates throughout the season the greatest all-round ability in the position. 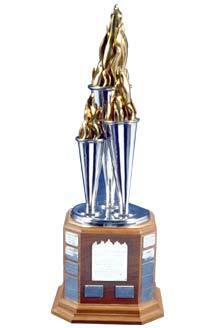 The winner is selected in a poll of the Professional Hockey Writers' Association at the end of the regular season. Past Winners. If we had a vote: Weber. Just didn't feel the Chara regular season, and we don't like Lidstrom's sub par defensive season. Weber had the best all-around play of any blueliner this season. Prediction: Nicklas Lidstrom. He put up phenomenal offensive numbers this year, and we bet the writers were banking on the fact that this season could have been his last. Lidstrom has won the Norris so many times, it should be renamed after him. Presented by the National Hockey League Broadcasters' Association to the NHL coach judged to have contributed the most to his team's success. The winner is selected in a poll among members of the NHL Broadcasters' Association at the end of the regular season. Past Winners. If we had a vote: Bylsma. No one had to do more "coaching" than the guy who lost his best two players, and at times during the second half was missing as many as twelve regulars from the line up at one time. Through it all, the Penguins finished tied for the division lead in points, and third overall in the conference. Prediction: Dan Bylsma. 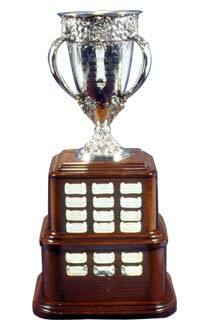 The Jack Adams has become an adversity award lately. Disco Dan "hustles" home with the win. Given to the forward who best excels in the defensive aspects of the game. The winner is selected in a poll of the Professional Hockey Writers' Association at the end of the regular season. Past Winners. If we had a vote: Kesler. He was a dominating figure this season. He was fearsome as a shutdown center-man when asked to be; and he scored fourty-one goals, too! Prediction: Ryan Kesler. He received much more national attention this year. He will get the votes. Given to the player adjudged to have exhibited the best type of sportsmanship and gentlemanly conduct combined with a high standard of playing ability. 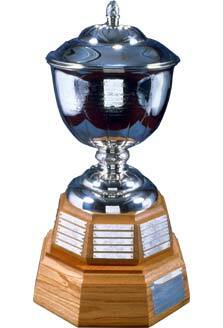 The winner is selected in a poll of the Professional Hockey Writers' Association at the end of the regular season. Past Winners. If we had a vote: St. Louis. He's such a great player, but receives little recognition. He does it all on and off the ice. Prediction: Martin St. Louis. Like last year, the stats should give him the edge with voters. Given to the National Hockey League player who best exemplifies the qualities of perseverance, sportsmanship, and dedication to hockey. The winner is selected in a poll of all chapters of the Professional Hockey Writers' Association at the end of the regular season. Past Winners. If we had a vote: Laperriere. Another year, another gruesome injury for the guy. Everywhere the guy goes he is beloved by teammates and fans alike for his guts and determination. After taking a slapper to the face in last years' playoffs, he had to be argued with by the training staff to keep him from returning with shattered skull bones. Prediction: Ian Laperriere. He's a warrior. Thanks for the summarize but I would like to check it out. It was pretty famous in the Host PPH forum. It has been a great read. Thanks, I didn't know all this.